DataSpace provide Secure Archive Storage. Home/Blog/DataSpace provide Secure Archive Storage. Why is Archive Storage important? Retaining large quantities of records can be challenging to manage. When you are retaining files it is important to process and store them in the correct compliant ways. Compliant Storage providers are easy to identify from those that aren’t, signs a of a secure and reliable Document Management Provider include accreditations of relevant British Standards such as BS 5454, BS 27001, BS 10008 and registration with the ICO. DataSpace are accredited with all of the above -to see more of our accreditation click here! 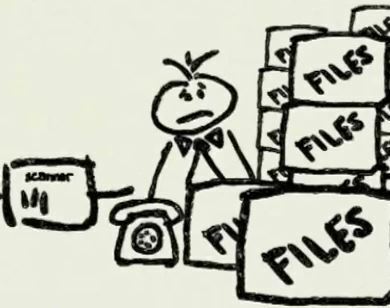 Why is it important to not keep files longer than they are required? If you’re keeping records longer than necessary you might be breaching the Data Protection Act and this could result in you incurring a fine from the Information Commissioner’s Office. Processing out of date information could also lead to further mistakes being made, which could cost your business time and money to put right. Retaining unrequired data will also make your archives larger then they need be, and might make it harder for you to locate relevant documents within your archives that could be essential to your business and incur unnecessary additional costs. What is the solution to managing your files retention dates? DataSpace’s secure online portal FileLive allows you to track and trace your archive boxes and files when they are stored offsite with us, giving you more space within your offices whilst still maintaining control over your records. Our systems also allow you to enter ‘Destruction Review Dates’ against your items making it easy for you to manage the retention of your items keeping you compliant. DataSpace also offer competitively priced Confidential Destruction Services so whether your items are in store with us or if you’re having an office sort out then call us on 0800 028 8956 for more information. DataSpace also provide weekly/fortnightly shredding collections for businesses that generate high volumes of confidential files. If you require Destruction Bins for your offices DataSpace can help!